If you’ve watched enough medical drama TV shows such as House, M.D., Grey’s Anatomy, or even the more recent The Good Doctor, you might think you know a thing or two about the human body. But to score full marks on this quiz, you will need more than just basic knowledge of human anatomy; you will need to be either a medical student (formerly or current) or some form of anatomy expert. Go on, challenge yourself to see if you should be in medical school. Can you go 15 for 15 in this medical quiz? What is the organ in red? What is the main function of red blood cells? What is the function of the iris? What is the function of the spleen? The nervous system _____ . What is this bone called? The largest muscle in the body is the _____________ . What is the function of the sinus? What is this system called? What might this little thing be? Can You Be A Doctor And Diagnose These Diseases? Can You Name These Common Medical Devices? 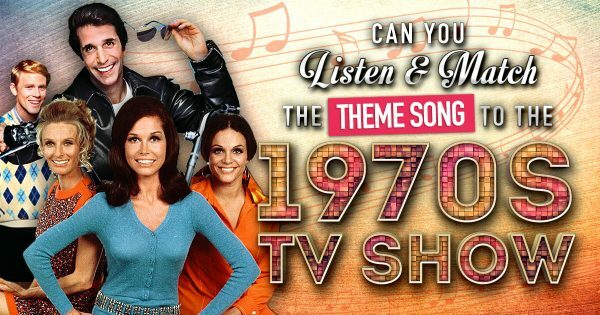 Can You Listen And Match The Theme Song To The 1970s TV Show?